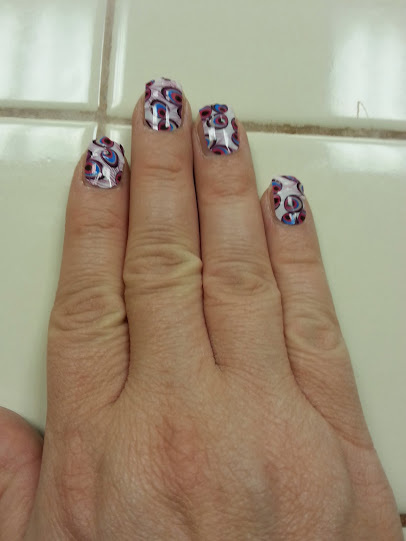 Recently, I got the opportunity to try out Jamberry Nails for the first time. I have seen them around when doing craft fairs and wondered if they really worked since I had tried something similar a few years ago. 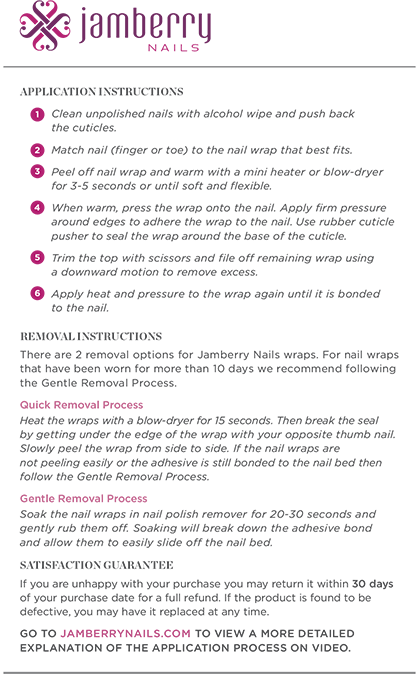 If you don’t have a lot of time to do your nails or really stink at painting your nails, like me (as in my seven-year old does a better job than me), then you really need Jamberry Nails. The process of putting on the nails is pretty simple. This is what mine looked like before using the blow dryer. I used the Pink and Purple Peacock for mine. They provide you with 18 wraps of different sizes. Depending on how you cut them, you can actually get two uses for your hands or have enough to do a manicure and a pedicure with one set! I found them easy to apply. They didn’t bubble, and they lasted well over a week for me. They have a lot of colors and styles to choose from. Plus, they have Mommy and Me options! With summer coming, this is a great solution to nails for fun looks at BBQs, the pool, or even the beach. 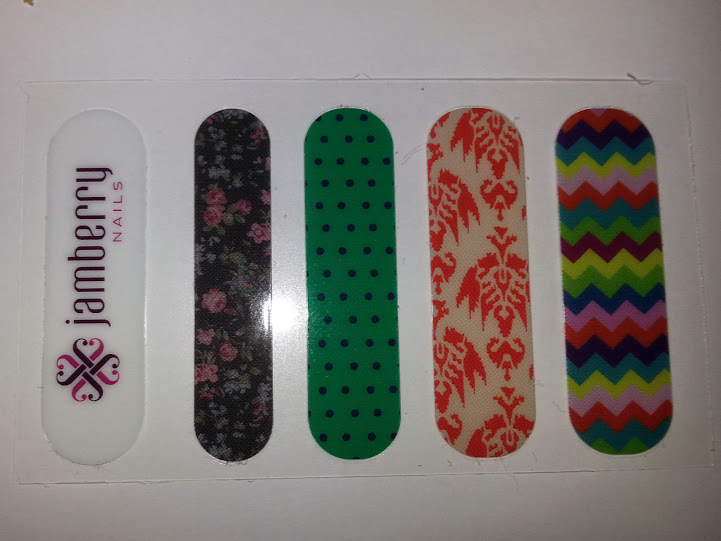 To see more, please visit http://urbanmom.jamberrynails.net/ to place your order. You can also book a party to earn free or reduced price products. * I was given Jamberry Nails to try. However, all opinions are my own.